One press headline reads… have you downloaded @ubuntu 16.04 LTS yet? — and one well-known tech writer replied no! He then went on to cite how hard it can be (allegedly) to know where all your files are and how much ‘tinkering’ around there has to be when using Ubuntu. This is (and we quote) the latest version of the world’s most widely used Linux platform across desktop, IoT and cloud computing — or so Canonical would have us believe. “The leading cloud-based operations and the most advanced robotics run largely on Ubuntu,” claims Mark Shuttleworth, founder of Canonical. An Ubuntu Long Term Support (LTS) release is supported and maintained by Canonical for five years — this is the 6th such LTS release for Ubuntu. Ubuntu 16.04 LTS introduces a new application format, the ‘snap’, which can be installed alongside traditional deb packages. These two packaging formats live comfortably next to one another and enable Ubuntu to maintain its existing processes for development and updates. “The addition of ‘snaps’ for faster and simpler updates and the LXD container hypervisor for ultra-fast and ultra-dense cloud computing, demonstrate a commitment to customer needs for scale,” said Dustin Kirkland who leads platform strategy at Canonical. Creating snaps is also supposed to be simplified for developers with the introduction of a new tool called “snapcraft” to build and package applications from source and existing deb packages. Snaps are supposed to enable developers to deliver much newer versions of apps to Ubuntu 16.04 LTS over the life of the platform, solving a long-standing challenge with free platforms and enabling users to stay on a stable base for longer while enjoying newer applications. The security mechanisms in snap packages allow for much faster iteration across all versions of Ubuntu and Ubuntu derivatives, as snap applications are isolated from the rest of the system. Users can install a snap without having to worry whether it will have an impact on their other apps or their system. Similarly, developers have a much better handle (says Canonical) on the update cycle as they can decide to bundle specific versions of a library with their app. 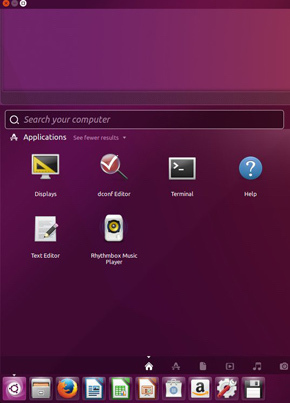 Wider press reports have shown much love for the new Ubuntu… the general media reception is also positive.